Penny’s career in wine began in 1986 when she landed a job as crush help at Jordan Vineyards & Winery. In 1987 she was there for the inception of J Vineyards and Winery. In 1999 she was hired as the Assistant Winemaker for J, eventually working her way up to the Sparkling Winemaker position. 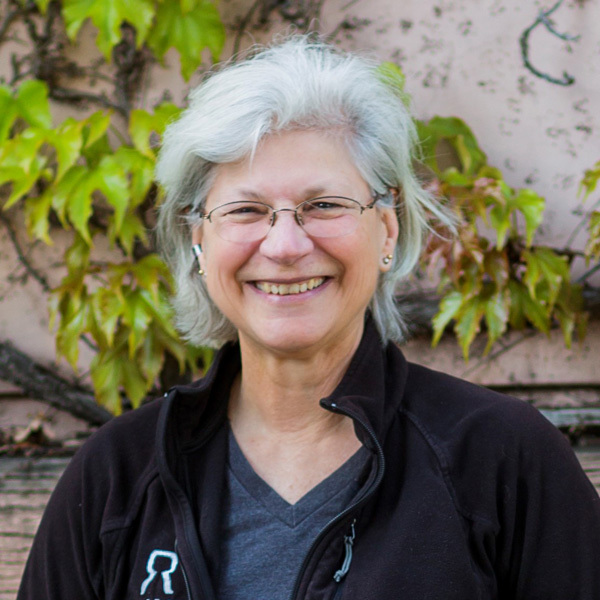 In 2007, Penny left J to work as a Winemaker for Rack & Riddle Custom Wine Services, who was just starting business. She also had started her own brand, Coral Mustang, making Tempranillo wines. In 2008 Breathless Wines began making Sparklers and in 2010 she was named Winemaker. In 2014 she was named Executive Director of Winemaking for Rack & Riddle, where she oversees and creates the sparklers there. Bubbles definitely flow through her veins! Bruno D’Alfonso’s love of the outdoors led him to earn a degree in soil science from Cal Poly. His fascination with fine wines inspired him to seek a second bachelor’s degree from UC Davis, this time in winemaking. Shortly after, Bruno had the wonderful fortune of working with two California winemaking icons: Richard Graff of Chalone Vineyard and Richard Sanford, the Pinot Noir pioneer of the Santa Rita Hills AVA. After three vintages with the late Mr. Graff at the Edna Valley Vineyard, Bruno joined Mr. Sanford to help begin Sanford Winery. He remained Sanford’s winemaker for twenty-three vintages and during that time became a partner. Kris Curran grew up in the Santa Ynez Valley. After earning an animal science degree at Cal Poly, San Luis Obispo, she became enticed by the scientific side of winemaking while working with Bruno at Sanford Winery and later received her second bachelor’s from Fresno in winemaking. Kris began as assistant winemaker at Cambria and later became a founding winemaker at Koehler and then at Sea Smoke Cellars. 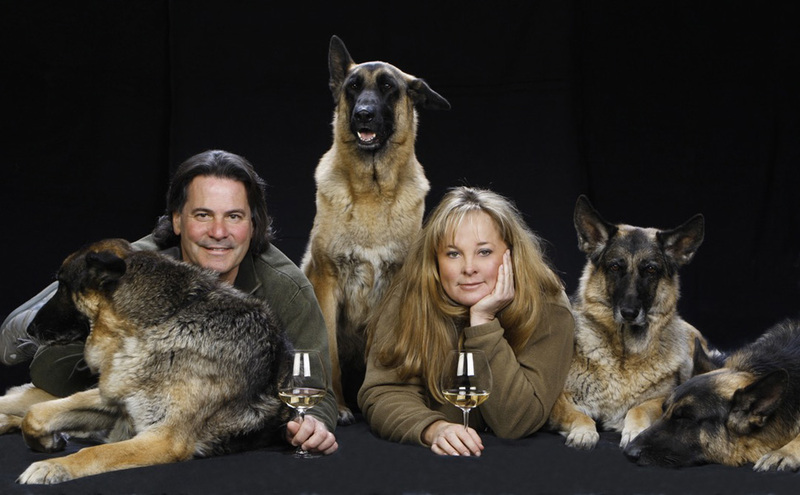 After leaving Sea Smoke, she worked as winemaker for Foley wines from 2008 to 2010. Kris was the first California vintner to popularize Grenache Blanc, which she started making in 2003. She loves the variety and challenge of mastering different production techniques. Rob Griffin came to Washington state in 1977 for one reason: to make wine. Present day, he is the longest practicing winemaker in the state, and 2018 will mark his 42nd harvest in Washington. 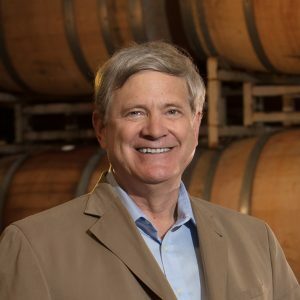 His love for the wine industry actually began while growing up in the San Francisco Bay Area, where he was in a prime spot to visit his uncle who owned a vineyard in the Napa Valley. Rob solidified his career path by graduating with Honors in Fermentation Sciences at the University of California, Davis. He spent several years hauling hoses and performing punch-downs in the Sonoma Valley before deciding to make the move to Washington. Rob could see the potential of the area, though when he arrived in 1977 there wasn’t much of a wine industry of which to speak, with fewer than 10 wineries existing in the entire state. He certainly didn’t entertain the notion that 40+ years later, Washington would be the place he would forever call home. 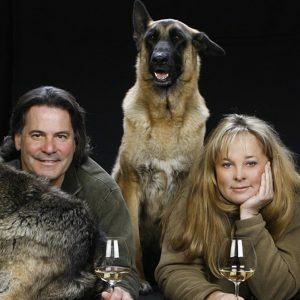 Rob and his wife Deborah Barnard created Barnard Griffin in 1983 and the winery itself was built in Richland, Washington in 1996. Over the past 20 years, the winery has expanded quite considerably and the campus is now complete with a restaurant and Deborah Barnard’s fused glass studio. 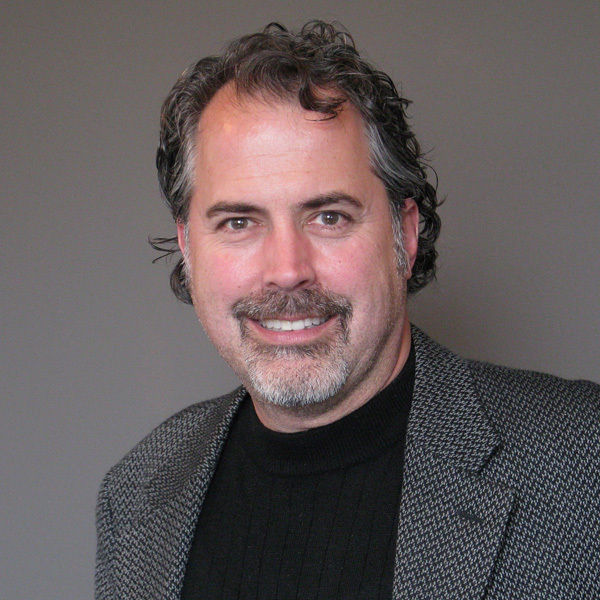 Founding winemaker Sean Capiaux has established an impressive and notable career over the past thirty years at prominent wineries around the globe. He graduated from California State University, Fresno (BS, Enology; minor in Chemistry) in the late 80s and began his career at Jordan Winery in Sonoma County’s Alexander Valley. Sean traveled to Perth, Australia to work on the winemaking team at the Houghton Winery and later returned to the United States to become the assistant winemaker at Pine Ridge Winery in the Stag’s Leap district. Peter Michael Winery tapped him to become their assistant winemaker where he worked for four years. Sean spent several years as a bicoastal winemaker attending to wines both on Long Island and in California before coming to O’ Shaughnessy. 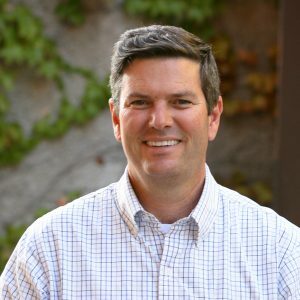 Sean serves as president and winemaker for the O’Shaughnessy Estate Winery and consistently creates world class mountain Cabernets. Sean employs modern equipment to produce non-interventious wines, which are naturally fermented and bottled unfined and unfiltered. These techniques allow the varietal character and terroir of the O’Shaughnessy Estate vineyards to be the stars of the show. Jason Merritt graduated from Paul Smith’s College in 1993 with a degree in Hospitality with a concentration in Culinary Arts. 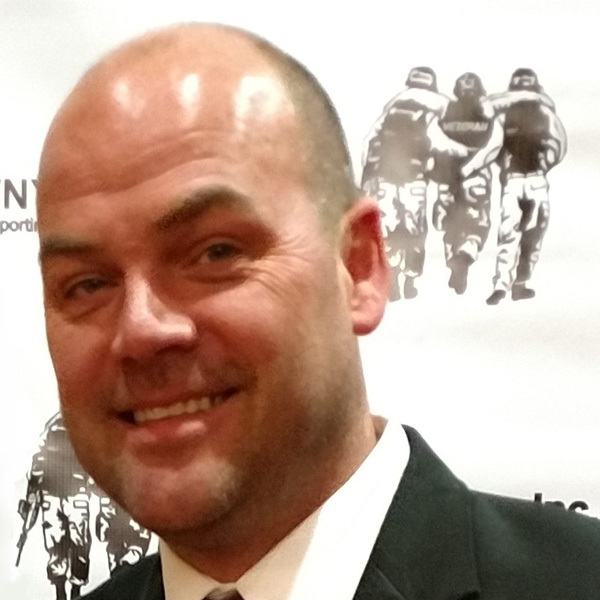 As a chef he worked in different businesses, from stand alone restaurants to corporate chains, culminating as the Executive Chef at the Sheraton Hotel in Dunkirk, NY. In 1997 he joined the family business full time with his father, Bill. With Jason’s background in the hospitality field, together they have grown the winery exponentially during his time there. Jason learned his base winemaking skills from his father, who has a degree in viticulture and enology from Cornell. That combined with Jason’s culinary background was a perfect combination to expand his knowledge and the winery brand. With almost 20 years of winemaking experience and a good strong core staff, Merritt Estate is very much looking forward to what is in store for the winery next. Cheers! Derek Wilber is a native of the Finger Lakes. He began in the grape and wine industry by working for his father on a vineyard operation outside Penn Yan. He attended Cornell University and graduated with a degree in fruit science in 1980. He managed several vineyard operations in the Finger Lakes before becoming a commercial winemaker in 1984. Since then, he has worked or both large and small wineries in the Finger Lakes. In May of 2011, he began his second stint as head winemaker at Swedish Hill Vineyards. 2018 marks the 14th year he has been with Swedish Hill and its two companion wineries, Goose Watch & Penguin Bay. Zach Pegram got his start in premium wine production working as a cellar hand in the Willamette Valley of Oregon during the 2010 and 2011 harvests. After this introduction, he expanded his tasting experience and practical education in world wine styles as wine manager in a Manhattan restaurant. He earned a Master’s degree in Enology from Cornell University, and after graduation he remained in the Finger Lakes, spending the last 5 years learning the craft at various wineries. 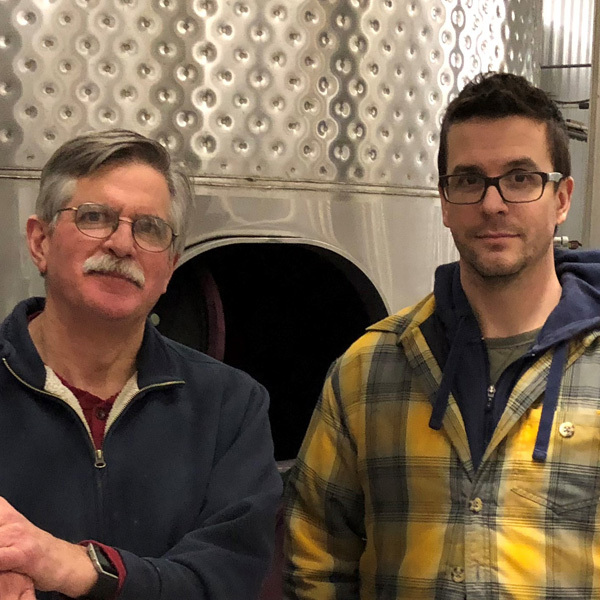 He is especially interested in varied production styles and experimentation, which have been encouraged at Goose Watch and invigorated by the renaissance of artisanal beverage production in the Finger Lakes.